Alpha Hydrox skin care works on all skin types and all ages. It features alpha hydroxy acids, which exfoliates skin, reducing the appearance of fine lines and wrinkles, while evening skin tone and texture, and unclogging pores. Alpha Hydrox skin care is very affordable and contains the highest percentage of AHA's available without a prescription. I received (1) full size 6 oz. Foaming Face Wash and (1) full size Enhanced Lotion 10% Glycolic AHA to review. Great skin begins with great cleansing. This non-drying formula gently cleanses away the toughest makeup, dirt and environmental pollutants while maintaining skin's moisture level. Does not strip skin but leaves it looking and feeling soft, smooth and fresh and prepared for the exfoliating action of Alpha Hydrox anti-wrinkle treatment products. With warm water, lather cleanser between palms. Massage over face and throat. Rinse thoroughly. Pat skin dry. Use twice daily (morning and evening) followed by Alpha Hydrox Toner-Astringent (if needed) and Alpha Hydrox anti-wrinkle products & moisturizers. Proven to significantly reduce and delay the onset of fine lines, wrinkles, forehead creases, crows' feet, laugh lines and more. With 10% Glycolic AHA at an effective pH 4, Alpha Hydrox Enhanced Lotion effectively and safely lifts dead cells from the skin's surface, revitalizing & helping restore younger, healthy, more radiant-looking skin. Renews moisture, refines texture, improves elasticity and skin tone. Cleanse with Alpha Hydrox Nourishing Cleanser or Foaming Face Wash and apply a sheer layer of Alpha Hydrox Enhanced Lotion to face and neck (do not rinse off). Follow with Alpha Hydrox Sheer Silk Moisturizer with SPF15 (daytime) or Night Replenishing Cream or Oxygenated Moisturizer (evening). 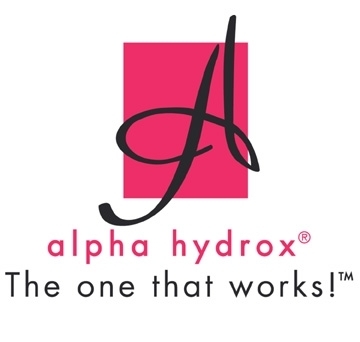 I must say that I am very impressed by the Alpha Hydrox line of products. I intended to give these review items to my son for treatment of his acne, but as soon the products arrived I just had to try them! I am speachless. I am almost 40 years old and my skin looks and feels like I am 10 years younger! I luv that there was no smell to the products and no residue. I have been using the products for over a month now and about to order some more of the same products that I received to review! My face has never looked or felt better. The prices are very reasonable and fit well within any budget! I give the Alpha Hydrox face wash a 5 out of 5. I give the acne treatment a 5 out of 5. I havent had any breakouts since i starting using it! Thanks Alpha Hydrox for the chance to review your items and feel better about my skin and face! All Readers/Subscribers that "Like" Alpha Hydrox skin care on Facebook by midnight (MST) on January 31, 2012, can be entered to win $500 cash. Promotion in January is in partnership with Denver Radio Station KOSI 101.5!